Sudha is an Indian Actress, who is working in Tamil television industry. She was born in Mylapore, Tamil Nadu. Sudha made her acting debut in the Tamil television serial “Nadhaswaram” along with Gethanjali, directed and produced by Thirumurugan. She also acted with well known actors like Andrew Jesudoss, Vicky Krish, Venkat and Bombe Babu. She has appeared in some well known serials such as Mella Thirandhathu Kadhavu, Ninaika Therintha Manamae and Vani Rani. Sudha as Sudha Karuppusamy role in Vani Rani serial. 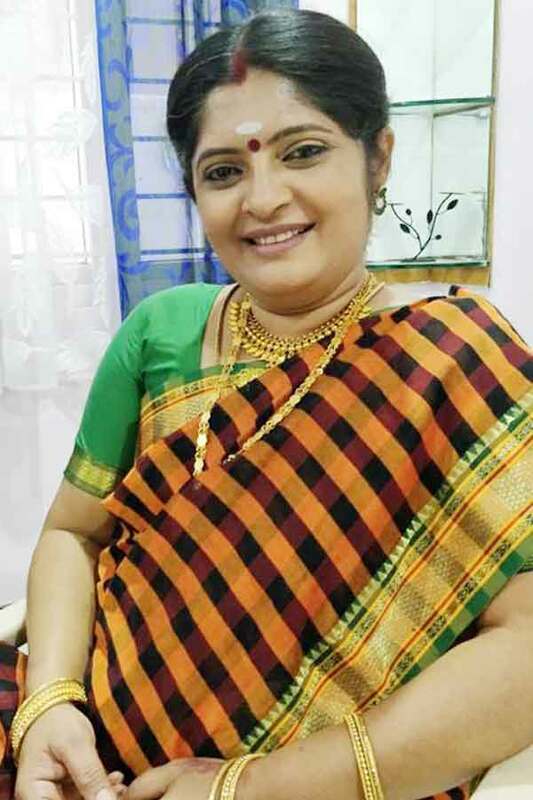 Sudha as Lalitha role in Ninaika Therintha Manamae serial. Nadhaswaram, Vani Rani, Mella Thirandhathu Kadhavu, Vidhi, Ninaika Therintha Manamae, Yaaradi Nee Mohini.